USSURIAN PEAR - a small to medium, roundheaded tree, often branching low to the ground, reaching a height of 25 to 35 feet. White flowers appear in May followed by a small greenish-yellow fruit in fall. Native to Northeastern Asia. 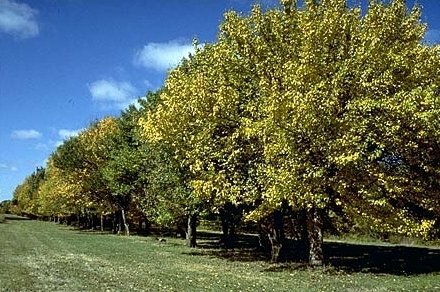 Cultivar: 'McDermand' Ussurian Pear - a USDA, Bismarck, N.D. PMC seed propagated selection. 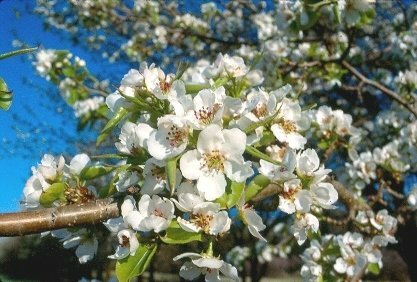 Use 2 trees as pollinators for heavier fruit set.